3 Tips on How to Effectively Acquire Sales and Leadership Talent. Want to learn more? Join us at #MWC 2017! According to a global study conducted by SAP in collaboration with Oxford economics, a high performer can deliver 400% more productivity than the average performer. High Performing employees are more satisfied with their jobs, less likely to leave, and more likely to direct their own learning than their peers. All of this translates to measurable performance and productivity gains for employers. Soloman Associates is a Talent Advisory firm providing Executive Search, Strategic Talent Acquisition, Interim Management Solutions to the Communications, Media and Technology Sectors Globally. We help our clients recruit high-impact or business critical positions at Board, C-Level, VP and Director level for organisations ranging from VC Backed Pre-Revenue start-up’s through to Multi-National Corporations. With over 93% our placements contributing to their employer’s success for two years or more since we were founded in 1999, we understand the challenges organisations face when trying to build a high performing sales and leadership team. Here are three expert tips on how to effectively acquire the best sales and leadership talent to help you meet your business goal. 1. 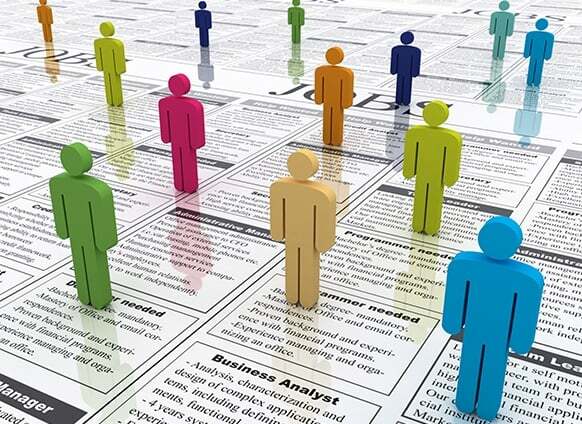 Align your hiring needs to your business needs – Run an Objective Process. When recruiting ‘high-performing’ Sales & Leadership Talent it is imperative that you align your hiring needs to your business needs, why are we recruiting for this position? What are the business objectives this role will deliver? Once you have answered these questions with your team you are then in a position to run an objective well designed process the purpose of which is to enable you to benchmark candidates against the business needs and also benchmark candidates against their peers. Having an extensive pool of candidates from which to draw from will increase your chances of hiring the optimal candidate for your business. Cast your net wide by utilizing a research led multi-channel approach to market when building your Talent Pool. 2. Know what success means in your organisation. Every company is different, but all have a common interest in maximising productivity and meeting sales quotas. Clearly define your expectations and measurements of success. By having a clear “big picture” understanding of your company’s objectives, you’ll be better equipped to recognise talent when you see it. Don’t make the mistake of just focusing on the hard skills, as a business leader you should have a clear understanding of the culture, values and aspirations your business possess. Some candidates may have a great set of technical & hard skills, even a great track record of sales achievements and building a business, but if they don’t share your values and culture as a business they will create more problems for you than they solve. At Soloman Associates, we use a specialised Aspirational Matching Technique through which we find those people who fit your company’s values, culture, and aspirations. 3. Don’t overlook the On-Boarding. Too often hiring managers think their job is done once an offer is accepted, in fact their job has just started! Once you’ve sourced and hired high-performers, don’t let them go! Create a robust onboarding process which can efficiently integrate new employees into the company environment, especially in sales and other remotely based positions. Make sure there is a plan in place for their first few weeks in the role, ensure simple things like email, laptop, mobile, user accounts etc, are set up prior to their start date. Allocate a ‘go to person’ for them to speak to who can give them directions on where they can find things in the organisation. The best sales and leadership talent are quite valuable, so you need to work to keep them. Taking these steps will guarantee a higher retention rate and dramatically improve the cohesion of your work teams. Want to learn more? Meet Soloman Associates @ #MWC 2017! Sol Jeewa has been attending MWC for 17 years, sharing his informative insights with companies looking to attract high-performing sales and leadership talent. Over the past two decades, he’s seen how changes in the mobile industry have affected how solution vendors do business. This year’s MWC is themed The Next Element. As in previous years, Sol will be offering Talent Attraction Sessions where you can learn about the latest techniques employed by industry peers to consistently hire exceptional individuals for sales and leadership roles. Click the link to book a private session with Sol at this year’s event to boost your high-performance acquisition rate and give your business a competitive edge in 2017. Feel free to ask questions by contacting Sol via email or Twitter. You can also visit the Soloman Associates Limited page on LinkedIn for more details about the services we provide. Don’t forget to use this year’s hashtag #MWC17 to participate in the discussion, and download the My MWC Event App for the latest event news, schedules, and more.